On Tuesday, Microsoft announced the Surface Pro 3, available now for pre order, and shipping beginning June 20th. There are plenty of reasons to either be excited for, or nervous about, the fate of the third generation of Surface Pro, but it’s what Microsoft didn’t announce this week that has us more intrigued. A smaller form factor “Surface Mini” has been rumored since, well since just before the revelation of the original Surfaces, back in June of 2012. Then, in November of that year, The Verge and others were reporting rumors of a 7″ “Xbox Surface” tablet, to be revealed as early as at Build the following June. That, of course never happened, nor did the reports of a low-cost, entertainment focused Xbox. Instead we got a botched launch of the Xbox One, and no companion device of any kind. Fast forward to a few weeks ago, and the rumors were flying that Microsoft was set to finally unveil a smaller Surface. Microsoft sent out invitations for “a Small Event”, and given the propensity for tech companies to pack hints into their announcements, everyone assumed that this was a sure sign of a small form factor Surface to come. Qualcomm was hinting broadly to just about anyone who would listen that their chips would be powering this new device, and by all accounts, it was a done deal. He was right, of course, and news filtered out that the Surface Mini had indeed been pulled, some say with strong urging by Stephen Elop, who felt the device “wasn’t different enough”, according to a report by Bloomberg. The most disturbing part of this whole fiasco is how, despite all the spin on Microsoft’s new direction under Satya Nadella, it seems to be monkey business as usual at Microsoft, instead. This really isn’t rocket science: Microsoft has come yet again late to the party, has allowed Apple to entrench itself as the lingua franca of tablets, and unless it’s willing to sell a small tablet at an absurdly low price, or can come up with a new and unique use case, that market is lost. The idea that Microsoft has delayed the Surface Mini while it waits for Modern Office is equally as absurd and disturbing, as literally no one is going to buy a 7″ tablet to use for Office, not when Office for iPad exists. Sadly, probably the best use case for a 7″ Microsoft tablet was the one they abandoned first: a Microsoft branded Xbox companion device that could have been the perfect second screen, bundled perhaps with the Xbox, or that elusive Xbox Lite entertainment device, endowed with a glowing Xbox “X” on the back that could have doubled its cool factor, and like the Surface Pro 3 and its OneNote enabled pen, could have had a dedicated hardware button or two to do cool stuff with the Xbox or a PC: fire up a movie, perhaps, or even Skype. Now, instead, we’re left to wait until Microsoft’s bean counters, who obviously haven’t lost much power even with Nadella at the helm, push and pull at the “Mini” until it’s as overpriced and watered down as the Xbox One and the Surface family have become. It was no secret that Microsoft Operating System Group chief, the Terry Myerson is/was no fan of Windows RT operating system that currently powers the Surface RT and Surface 2 devices. And it’s also widely believed that Myerson’s team is in the midst of revamping the version of Windows that runs on ARM so that the same version of Windows will be able to run on ARM-based Windows Phones and smaller ARM-based Windows tablets. In a follow-up post, Foley points out that Panos Panay confirms that there could be more ARM based Surface devices coming, although note that he said nothing about Windows RT based ARM devices. While we wouldn’t be surprised if Microsoft tried to squeeze the last bits of life out of Windows RT by releasing one last Surface running it for this holiday season, we’ll still cross our fingers that Myerson will prevail and the next ARM tablet coming out of Redmond will be running Windows 9. 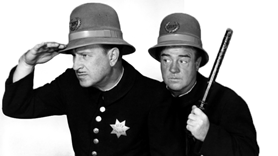 While we’re not happy with the Keystone Kops antics Microsoft continues to exhibit with just about anything consumer related, we’re glad they made the right decision and pulled an almost certainly doomed from the start Surface Mini. We’re also at peace with a showcase Surface Pro 3, a flagship that, while it may not fly off the shelves, sets the quality bar high for Microsoft hardware and shows off seamless integration of Microsoft devices and services. It sure would be nice to see Satya Nadella, Stephen Elop, Terry Myerson et al pull off a coup and actually do something right the first time. We keep waiting.